SAVANNAH, Ga., Dec. 10, 2018 /PRNewswire/ -- Gulfstream Aerospace Corp. today announced that the ultralong-range Gulfstream G650ER has completed a record-breaking flight en route to the Middle East and North Africa Business Aviation Association (MEBAA) Show in Dubai. The aircraft bested the previous world speed record by one hour and 48 minutes. 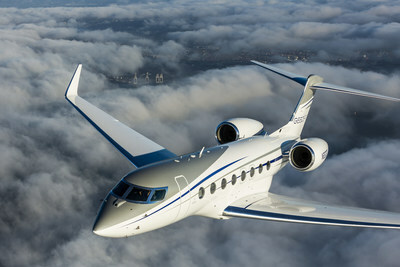 "Time and again, the G650ER has demonstrated its performance agility," said Mark Burns, president, Gulfstream. "And this is another one of those times. No other aircraft offers the high-speed range utility that the G650ER does out of high-demand airports like Teterboro. This proves yet again that the G650ER remains in a class by itself." Pending approval by the National Aeronautic Association, this record will be the G650 family's 79th.